The Right Track - 1984 Running Film ft. Arthur Lydiard, John Walker, Peter Snell, etc. Bernie Sanders ran a 4:37 mile! Is it okay to use a community colleges or universitys outdoor or indoor track during weekends or during the summer? Pros/College Stars Share Their Christmas Greetings On Social Media Mo Farah, Eliud Kipchoge, Evan Jager, Andre De Grasse, Sally Pearson, Lolo Jones, Jordan Hasay, more. Ryan Gregson And Genevieve LaCaze Are Engaged!!! A great Xmas gift for the couple. XMas Spirit Eliud Kipchoge, Marty Keiatny, Sally Kipyego, Matthew Birir Bring Loads Of Presents To Kids In Hospital In Kenya Birir is the 1992 Olympic steeplechase champ ahead of favorite Patrick Sang (now Kipchoge’s coach). Maria Lasitskene Opens Indoor Season With 2.00m In Minsk, Makes Attempts At 2.08 World Record Lasitskene, who is undefeated in 2017, becomes the first over 2.00 in December. Video of jump here. British Sprinter James Ellington May Sue Nigel Levine Over Bike Crash Levine is the guy who reportedly tested positive this week, so not a good week for him. Lengthy Interview With Sonia O’Sullivan: “We’d look over at Szabo and her doctor’s big, black bag, wondering why did she need a doctor?” O’Sullivan competed against a slew of suspected dopers. 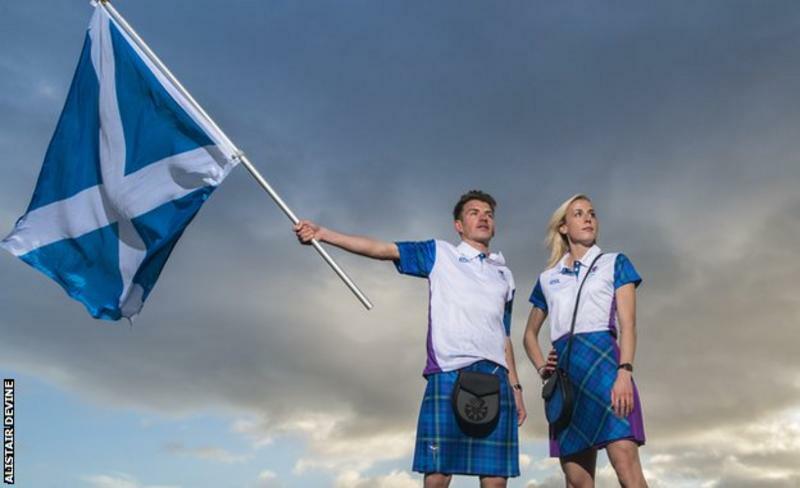 BBC: “Love Blossoms As Lynsey Sharp And Andrew Butchart Launch Scots’ Team Tartan” Butchart and Sharp talk a bit about their relationship as they prepare to represent Scotland at the 2018 Commonwealth Games. Things Have Came A Long Way In A Short Time For Scotland’s Andrew Butchart Butchart wasn’t at the 2014 Commonwealth Games and only ran his first 5K in 2014, but now will be looking for a medal at the Gold Coast 2018. Lynsey Sharp Has High Hopes For The “Second Half” Of Her Career Sharp has made some big changes for the second half with a move from the UK to California and a new sponsorship with adidas. Q&A With 10,000m WR Holder Almaz Ayana, Who Gives Some Insights Into Her Training Ayana says she averages around 150km (93 miles) a week. 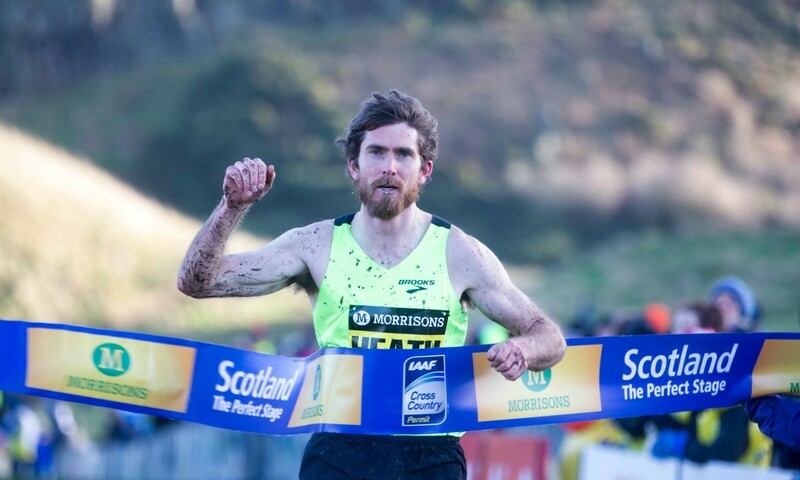 January 13: Three-Time Winner Garrett Heath, Chris Derrick, Leonard Korir And Club XC Champ Ian La Mere Lead Team USA For Great Edinburgh XC Challenge The women’s team has Desi Linden, Molly Seidel and Natosha Rogers. Juniors are lead by Foot Locker champs Claudia Lane and Dylan Jacobs. Yuki Kawauchi Added To 2018 Boston Marathon Elite Field It was also announced that Kawauchi will run the Marshfield Road Runners New Year’s Day Marathon with the goal of breaking the record for most sub-2:20 marathons (he is currently tied at 75 with US’s Doug Kurtis). December 31: Molly Seidel, Stephanie Bruce And Sarah Pagano Lead Field For NYRR Midnight Run In Central Park Christo Landry leads the men’s race. Southern California Fires Affect Numerous Road Races One of the largest wildfires in California history has lead to the cancellation or postponement of many races. 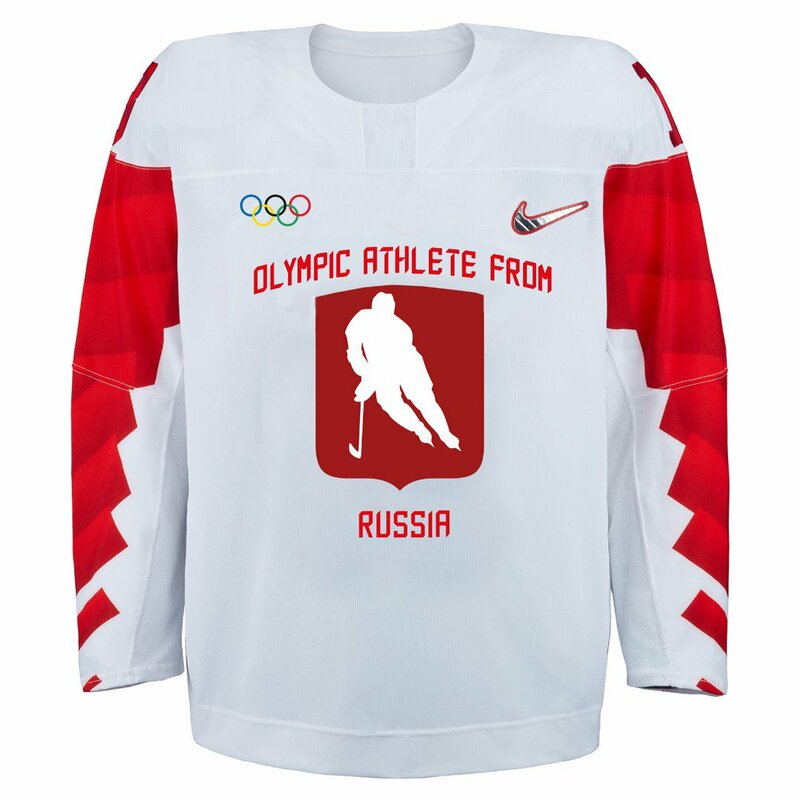 What A Joke: Russian “Neutral” Uniforms For 2018 Games Could Be Red And White With “Olympic Athlete From Russia” On It How about blank beige uniforms? Can’t get much more neutral than that. Russian XC Skier Accused Of Being A “Traitor” For Allegedly Informing On His Teammates He denies that he “slandered” any teammates. Salt Lake City Set To Bid For 2030 Winter Olympics They last hosted the Games back in 2002. Denver Considering Bidding For The Winter Olympics (Possibly 2026) Denver was supposed to host the 1976 Games, but withdrew due to financial concerns. 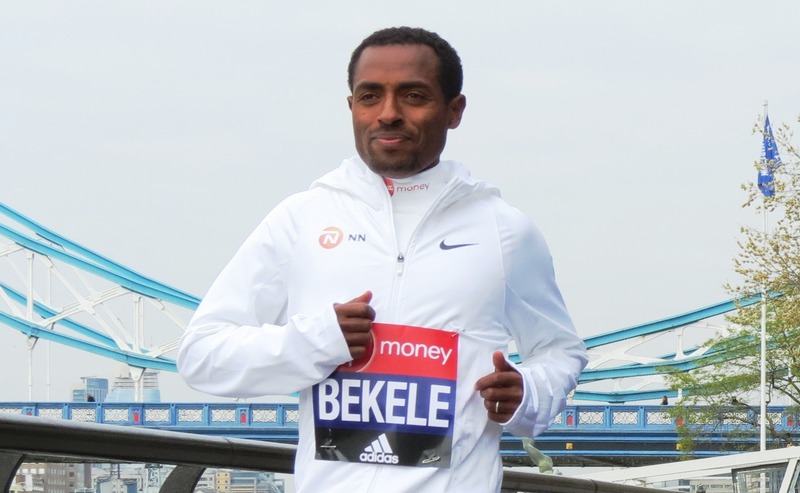 Kenenisa Bekele Wins TSK 25K, But Nowhere Near The WR With 1:13:48 There was talk of the 1:11:18 WR and Bekele said he wanted at least his 1:12:47 PR, but Bekele actually fell off the leaders at one point before coming back to win by a good margin. Ethiopia’s Degitu Azimeraw got an upset 3-second win over 2015 World marathon silver medalist Helah Kiprop. With A Rare Negative Split, Yuki Kawauchi Wins Hofu Yomiuri Marathon In 2:10:03, Tying The Record For Most Career Sub-2:20 Marathons With 75 Misaki Kato dominated the women’s race by 11 minutes with 2:28:12. *MB: Flanagan, Hasay, Huddle, and Linden ALL set to race Boston 2018! LRC Claudia Lane Dominates To Repeat As Champ, Misses Joining Sub-17:00 Club (link fixed) 17:03 for Lane as only 3 women in the last 30 years have ever gone sub-17. She’ll attempt to be first-ever 3-time girl’s champ next year. LRC Dylan Jacobs Wins To Make Carl Sandburg High In Illinois The First With Two Different FL Champs (Lukas Verzbicas) As Soph Graydon Morris Is 2nd Jacobs turned the tables on rival Daniel Kilrea as sophomore Morris moved up to take second and could become the second boy ever to run at 4 Foot Lockers (Jorge Torres). Wow! 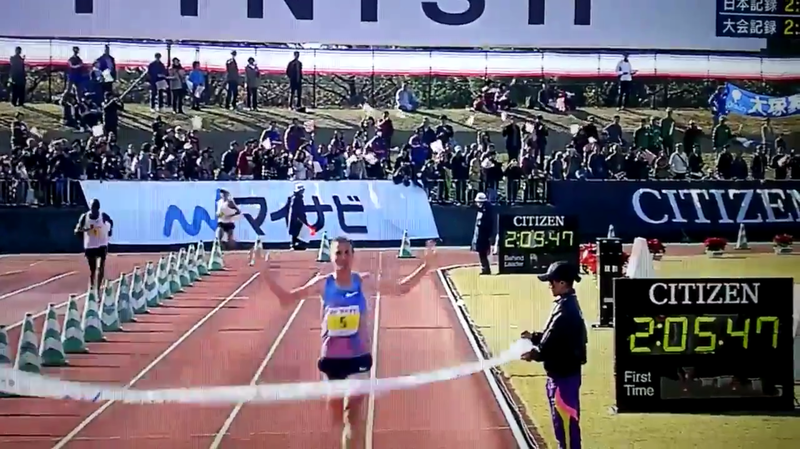 LRC Norway’s Sondre Moen Makes History, Smashes European Record To Win Fukuoka In 2:05:48 Moen, who ran 59:48 during his buildup, became the first non-African born male to break 2:06 on a record-eligible course as he stunned the world and Bedan Karoki. 2012 Olympic champ Stephen Kiprotich grabbed second in 2:07:10 just ahead of the Suguro Osako, who set a new Nike Oregon Project record of 2:07:19. MB: SONDRE MOEN of Norway runs 2:05:48 (!!! 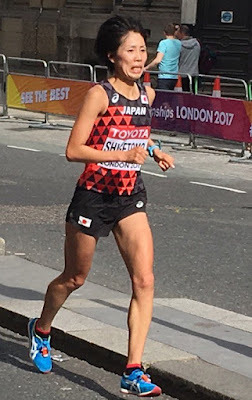 )to win the 2017 Fukuoka Marathon. How did he do it? The LetsRun.com World And US Rankings Are Here – Who’s #1? LRC Men’s 1,500: Training Partners Elijah Manangoi & Timothy Cheruiyot Lead The Way, Matt Centrowitz Still US #1 Sorry, Robby Andrews fans, Centro is still atop the US. 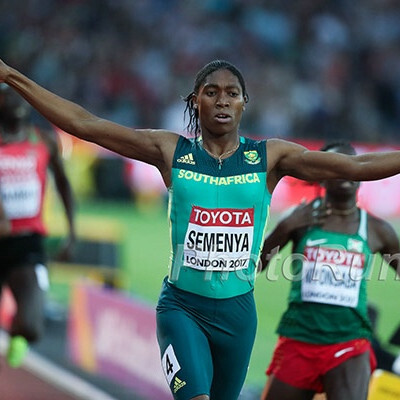 LRC Women’s 800: Caster Semenya’s Perfect Season Makes Her World #1 Again; Ajee Wilson Produces Greatest Year Ever By An American What a year for Semenya and Ajee Wilson, and the American women in general, who had three in the world top 10. 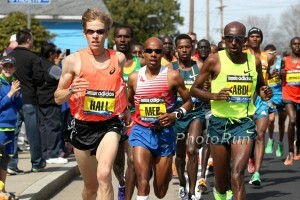 *Discussion: 800 World Rankings Men: What do you think? Check back as we unveil more rankings each day. Anita Włodarczyk Wins Track And Field News’ Athlete Of Year Award Over Mariya Lasitskene The hammer isn’t as competitive as the high jump but Włodarczyk did have the top 30 throws in the world. With Lasitskene attempting the world record yesterday, maybe TFN should revote. LRC The 2017 LetsRun.com Awards: Runner And Rookie Of The Year, Upset Of The Year, Doping Excuse Of The Year & More Shalane Flanagan and Galen Rupp are US runners of the year and Joyciline Jepkosgei and Eliud Kipchoge international runners of the year. 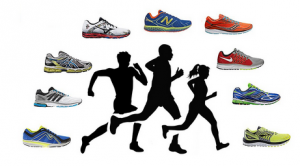 Did your favorite runner make the cut? LRC LetsRun’s Best Articles Of 2017: A Day With Eliud Kipchoge In Kenya, The Summer Of Alan Webb, The Rise Of Syracuse & Many More Looking for some reading in your time off from work? We’ve got you covered. LRC The Best Races Of 2017 With Video: Gold & Silver For U.S. 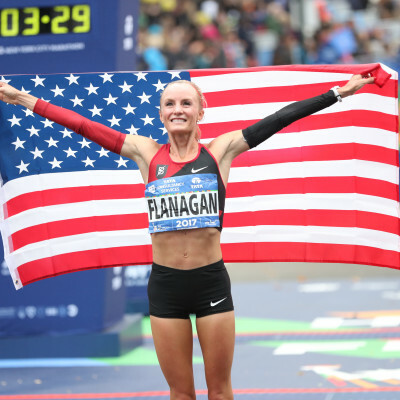 In The Steeple, Shalane Wins NYC, Kipchoge Runs 2:00:25 & More From the track to the roads we’ve got you covered. 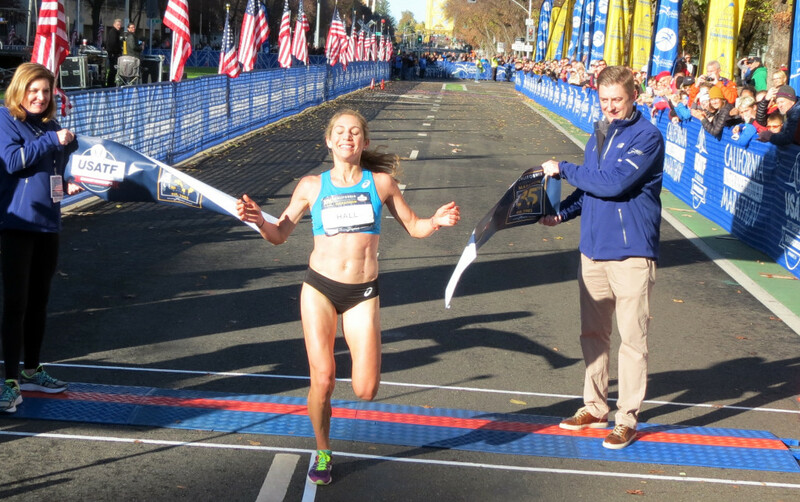 We reflect on the most exciting races of 2017, including history from Emma Coburn and Courtney Frerichs, major marathon wins from Shalane Flanagan and Galen Rupp, the brilliance of Eliud Kipchoge and some NCAA action. Ryan Crouser Wants To Break Drug Cheat Randy Barnes’s World Record In The Shot In 2018 Crouser wants to do it clean and goes to http://informed-choice.org/ to make sure the supplements he uses are legit. Crouser uses a device called TrackMan to figure out the optimal speed and angle on his throws. Crouser is a throwing stud and is the national high school record holder in the discus. 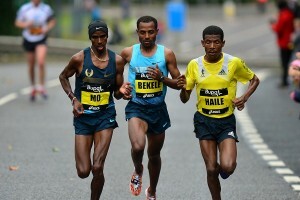 2:05 Marathoner Sondre Moen To Race World 5k Champ Muktar Edris Dec 31 At BOclassic Desi Linden is racing on women’s side. Stephanie Bruce to be Sponsored by Hoka Exclusivley Going Forward Gives a Big Thank you to Oiselle Both companies supported her during pregnancy #2. Nigel Levine, British 400m Man, Who Was European 4 X 400 Champ, Reportedly Tests Positive, Awaiting “B” Sample He tested positive for the banned asthma drug clenbuterol, which also can be used to cut weight. 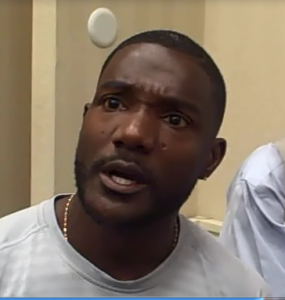 Alan Abrahamson: “Zero Facts Implicating Justin Gatlin – That’s A Scandal?” Abrahamson argues that the Telegraph is unfairly going after Gatlin and blowing the story out of proportion. 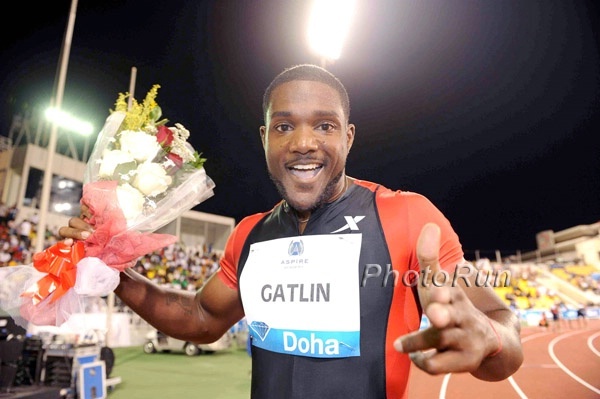 We agree that the British media is biased against Gatlin, but you can’t downplay his association with Dennis Mitchell. Seb Coe Claims Russia Is “Moving In The Right Direction” Towards Having IAAF Suspension Lifted There is still no set date for their return, but it definitely won’t be in time for the 2018 World Indoor Champs. Many In Sport Once Again Calling For One Strike Lifetime Bans An interesting note is that a number of Wagner’s clients as well as his wife have served doping bans. Add This To Your Christmas List? 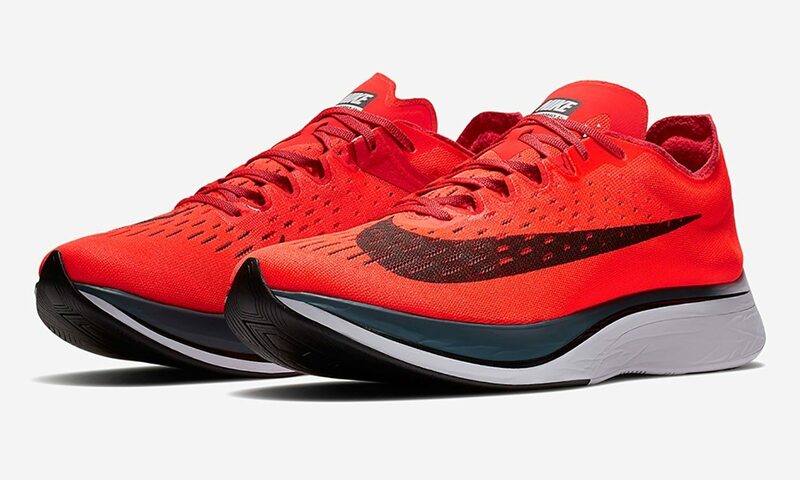 Independent Study (Funded By Nike) Finds That Nike Zoom Vaporfly 4% Actually Could Make You Run Faster They found energy saving of between 2% and 6% – with an average of 4%. A big criticism of the study is it wasn’t blind testing, so the placebo effect could be at play. 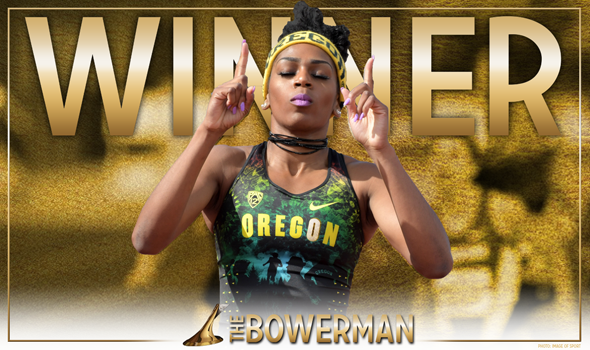 Oregon’s Raevyn Rogers Wins Women’s 2017 Bowerman Award Rogers beat out jumper Keturah Orji and thrower Maggie Ewen to become the third Oregon woman to win the award. 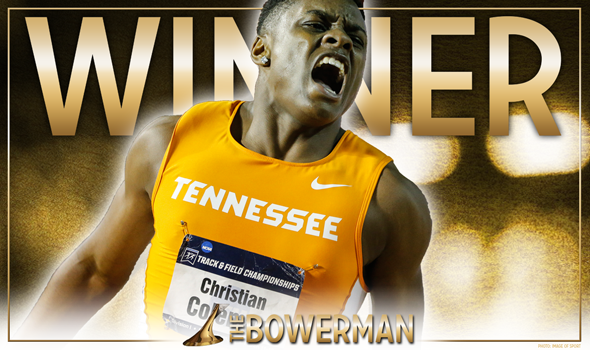 Tennessee’s Christian Coleman Wins Men’s 2017 Bowerman Award Coleman won the award over sprinter Fred Kerley and decathlete Lindon Victor to become the fourth SEC male winner in a row. Register-Guard Article On Former Duck Raevyn Rogers Rogers gives an update on her training situation since she’s moved to Philly to join Derek Thompson‘s group with Ajee Wilson and Charlene Lipsey. 2:03 800 Woman Ruby Stauber To Transfer From LSU To Oregon She was 5th at NCAA indoors last year. Video: 2017 USTFCCCA Coaches Hall Of Fame Induction Ceremony Inductees included Allyson Felix‘s coach Bob Kersee. RRW Lawrence Cherono (2:08:26) And Brigid Kosgei (2:22:14) Smash Course Records At Honolulu Marathon, Win $50,000 World record holder Dennis Kimetto dropped out again. Nick Symmonds ran 3:00:35. RRW King Cheserek Wins Battle Of Sexes Kalakaua Mile In Hawaii And Defeats Nick Willis And Will Leer The race does not give splits and makes the runners essentially time trial it by feel. Excellent. Club Nats Men’s Results: Ian La Mere And Tinman Elite Win La Mere is on Hansons-Brooks. 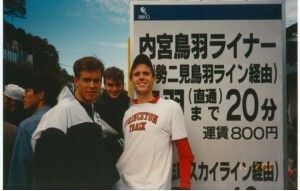 RR: Inspired By XC Origins, Hansons-Brooks Puts U.S. Distance Back On The Map This week should be the final race for Bobby Curtis. LRC Girls Race: Katelyn Tuohy (16:44) Crushes Field As Fayetteville-Manlius Survives To Win 11th Title In 12 Years Tuohy set another course record and F-M won another national title (its 11th in 12 years), but just barely. LRC Boys Race: Aidan Troutner (15:03) Wins NXN Thriller As Loudoun Valley Sets Meet Record For Fewest Points (89) Troutner pulled the upset and will go to BYU next year. Drew Hunter‘s former team, coached by his parents, set a record for low points at the meet thanks to great running and two transfers. Is FM officially the great high school team ever? What a race by Troutner: Brodey Hasty goes home DEVASTATED!!! Top New York boys team got second at NXN while everyone slept on them!! February 10: Emma Coburn, Jenny Simpson, Brenda Martinez And Boris Berian Headline At The New Balance Indoor Grand Prix In Boston Coburn and Simpson will go head-to-head in the 3,000. Tips For Sport And Life From Courtney Frerichs Some interesting facts about Frerichs: she always eats Froot Loops on race day, she ran a 70-mile week on her honeymoon and she and her husband “avoided dating each other” in college because they were teammates. Video: BYU Athletes Jonathan Harper And Chase Horrocks Run A 3:43 Downhill Mile It was the first “sub-4” for both of them as they have 4:02 PRs. Runner’s World’s Top 10 Underappreciated Stories Of 2017 Did you miss the guy who had Centro tattooed on his back, the horse who chases runners and outsmarts police, or the guy with surgically created elf ears that runs fast 5Ks with his dog? Kenyans Dominated Big City Marathons In 2017 Mary Keitany‘s 2:17:01 was definitely the highlight, but USA had a solid year as well with wins at Chicago (Galen Rupp) and NYC (Shalane Flanagan). IAAF End Of Year Reviews: Relays Not a highlight, but the biggest relay story of the year might have been Usain Bolt‘s hamstring injury bringing him down in the World 4 x 100 final. Video: The Best Viral Sports Clips Of 2017 Pro track and field got one clip and there was another from the London Marathon. Oscar Pistorius Appeals His Increased Murder Sentence Pistorius’ jail time was increased from 6 to 13 years after an appeal from the prosecution. Birmingham Officially Named Hosts Of The 2022 Commonwealth Games Birmingham will be the first city in the UK to introduce a hotel tax to cover budget shortfall. February 3: Asafa Powell Leads Strong Jamaican Contingent For The 2018 Millrose Games Powell will line up in the 60 against World 110H champ Omar McLeod while Natoya Goule is in the 800. The 3,000 has Emma Coburn vs. Aisha Praught Leer. 2018 USATF Indoor Championships Schedule Announced, Tickets Available USA Indoors are February 16-18 in Albuquerque, NM. A Stunned 50-To-1 Longshot, Mo Farah, Wins British Sports Personality Of The Year Award Farah had been nominated for the award so many times and somehow only once finished once in the top 3 (he wasn’t even in the top 3 with double Olympic wins last year) that he didn’t attend in person this year and was stunned to win. The live national TV video feed then went out. 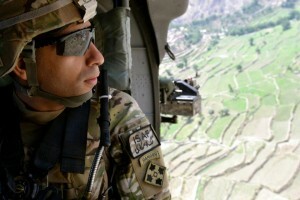 Video and Farah’s reaction here. A Four-Time Tour Winner Goes Down? Four-Time Tour De France Winner Chris Froome Failed Doping Test Froome tested positive for levels of an asthma drug double the allowable limit. 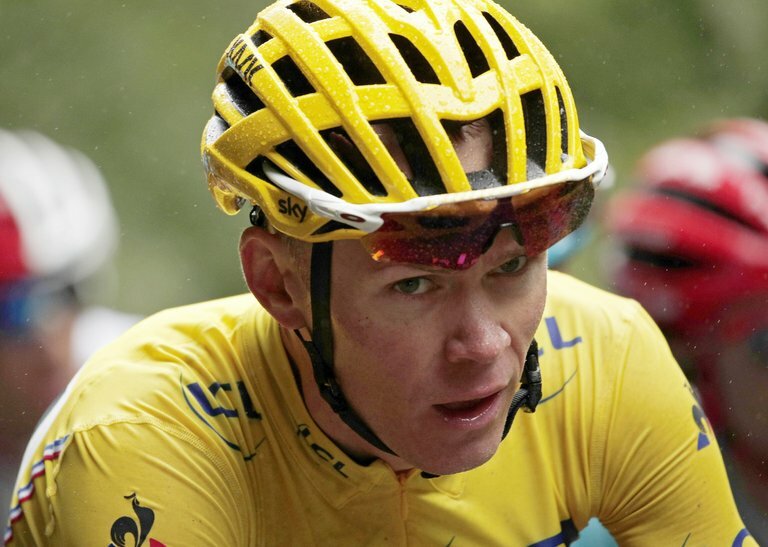 The Independent: What Next For Froome? Will He Be Banned? Has He Been Suspended? What Did He Take? The Guardian’s View On Chris Froome’s Failed Drug Test Apparently only one of the BBC’s 12 Sports Personality Of The Year finalists (including Mo Farah) doesn’t have doping questions surrounding them. Sara Hall completed a nice double, Tim Ritchie kept the Saucony team rolling, Parker Stinson went for it, a 50-year-old made the Trials, and a history lesson on Jerry Lawson.